Honor and recognize years of service for employees, teams and volunteers. 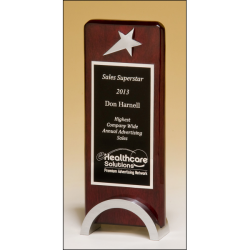 These stylishly crafted awards lets your employees know their efforts are well appreciated and are optimal for text and your company logo. 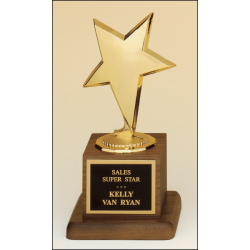 LASER Engraving ⍟ FREE Logo ⍟ FREE Setup ⍟ NO Hidden FeesMetal goldtone modern star casting on a solid American walnut base This award comes with your special message. 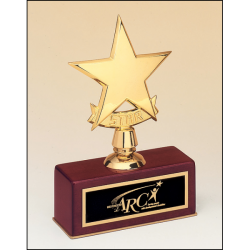 With a sizeable engravable area that can be personalized with a log..
LASER Engraving ⍟ FREE Logo ⍟ FREE Setup ⍟ NO Hidden FeesHClassic achiever casting on a solid American walnut base This award comes with your special message. 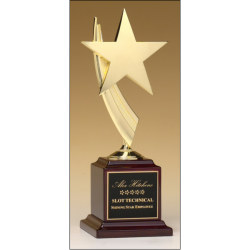 With a sizeable engravable area that can be personalized with a logo, crest ..
LASER Engraving ⍟ FREE Logo ⍟ FREE Setup ⍟ NO Hidden FeesMetal goldtone star riser casting on a solid American walnut base This award comes with your special message. 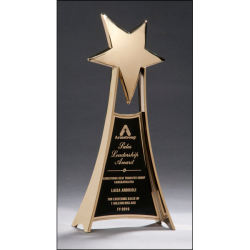 With a sizeable engravable area that can be personalized with a logo..
LASER Engraving ⍟ FREE Logo ⍟ FREE Setup ⍟ NO Hidden FeesRosewood piano-finish award with chrome plated star This award comes with your special message. 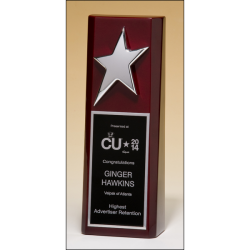 With a sizeable engravable area that can be personalized with a logo, crest and wo..
LASER Engraving ⍟ FREE Logo ⍟ FREE Setup ⍟ NO Hidden FeesPolished metal goldtone star casting on rosewood stained piano finish base This award comes with your special message. 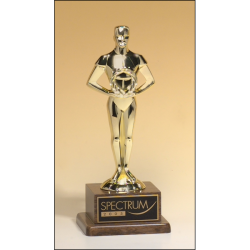 With a sizeable engravable area that can be personalized wi..
LASER Engraving ⍟ FREE Logo ⍟ FREE Setup ⍟ NO Hidden FeesClassic achiever figure on rosewood stained piano-finish base This award comes with your special message. 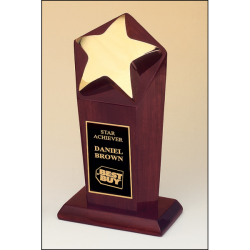 With a sizeable engravable area that can be personalized with a logo, cr..
LASER Engraving ⍟ FREE Logo ⍟ FREE Setup ⍟ NO Hidden FeesHigh gloss rosewood stained trophy with silver star This award comes with your special message. 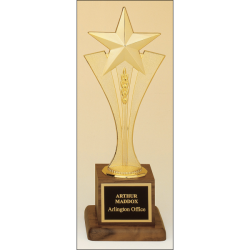 With a sizeable engravable area that can be personalized with a logo, crest and wo..
LASER Engraving ⍟ FREE Logo ⍟ FREE Setup ⍟ NO Hidden FeesLarge and impressive metal star trophy in gold finish This award comes with your special message. 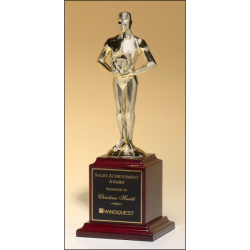 With a sizeable engravable area that can be personalized with a logo, crest and ..
LASER Engraving ⍟ FREE Logo ⍟ FREE Setup ⍟ NO Hidden FeesClassic Achiever Trophy cast metal figurine hand-polished with goldtone finish on black piano-finish base This award comes with your special message. 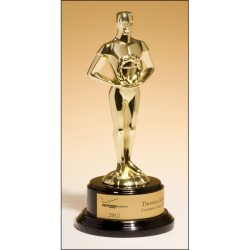 With a sizeable engravable area th..
LASER Engraving ⍟ FREE Logo ⍟ FREE Setup ⍟ NO Hidden FeesStar casting in goldtone finish on rosewood piano-finish base This award comes with your special message. 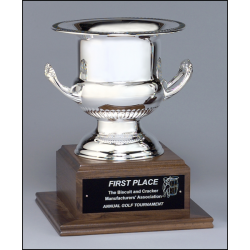 With a sizeable engravable area that can be personalized with a logo, cr..
LASER Engraving ⍟ FREE Logo ⍟ FREE Setup ⍟ NO Hidden FeesSilver plated brass wine cooler on solid walnut base This award comes with your special message. With a sizeable engravable area that can be personalized with a logo, crest and w..